Whatsapp has amazed a staggering amount of users worldwide, and recently received numerous questions regarding its installation on MAC computers (especially for the Air and Pro version). How this complex application is downloaded and installed on those computers has been the absolute topic for years! The trick is downloading and installing correctly Whatsapp by using a specific Android emulator (see later) and meeting some specific system requirements. But first remember that Whatsapp cannot be used simultaneously on the iPhone and the MAC! One, must first disable the one or the other. WhatsApp for OS X Yosemite is a powerful tool that anyone may use to place calls or send texts. You may learn how to use the app when you thumb through this description. There are quite a lot of things you may do with it, and you need to know how to install it on your operating system. This article explains how you may make your way through the app to get the most out of it. Introduced in June 2010 at the Apple Worldwide Developers Conference, the iPhone 4 is the fourth generation of the company’s line of smartphones. The device succeeded the 3GS, featured a completely new hardware design and was promoted as the thinnest smartphone at the time. The device has an A4 processor, a 5-megapixel camera, a 3.5-inch Retina display and a battery that produces 40 percent longer talk time than the 3GS. In addition, it can run version 7.1.2 of iOS, has a 3-axis gyro and can record HD videos. Furthermore, this iPhone also has a number of core iOS features, such as multitasking. Some people tend to be convinced that the walls surrounding the iPhone OS garden are a little too high. The only freedom you can have at this point is a ticket for jailbreaking. Surprisingly, Ipad or IPods devices and manufactured in a way that, they can only download applications that have been approved by Apple. The applications must only be available in the App store. Now, the process of jailbreaking involves eliminating the above limitations. The IPod will be able to work efficiently by opening up to external features that are outside of the App store. Don’t worry; you won’t be jailed just because you have jailbroken your phone. In fact, it is legal to jailbreak certain devices. If it was for this, probably, you won’t be using important applications such as Whatsapp on your IPad. How to Download and Install whatsapp when you do not previously have whatsapp installed on your iphone: Whatsapp is now compatible with the new Apple Watch , and here is a step by step guide that will tell you how to find, download, and install whatsapp on your Apple Watch. Or, how to transfer whatsapp to your Apple Watch if you already have it installed on your iphone. Step One In order to find the whatsapp on your Apple Watch you either have to locate the whatsapp on either your current appstore on your iphone, or you can find the whatsapp on the Apple Watch companion app. One of Mac users’ biggest complaints about WhatsApp has apparently been resolved. 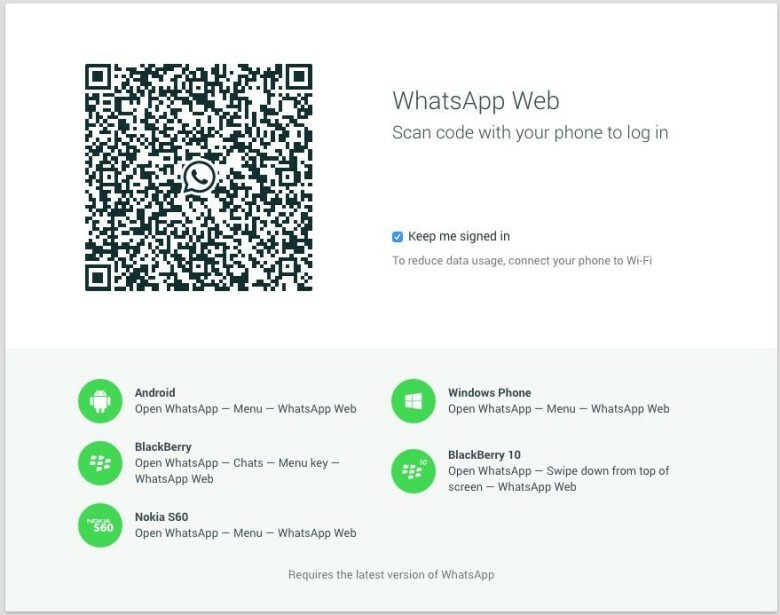 WhatsApp Web is now available for Safari; unfortunately, news stories indicate that it is not as versatile or as useful as WhatsApp Web for Windows or Chrome. Those of you who are familiar with it undoubtedly know that WhatsApp is simply a version of the application that lets you receive messages on computers as well as phones. Many people like this solution because it lets them send or check messages without having to get out their phone or use up battery power.